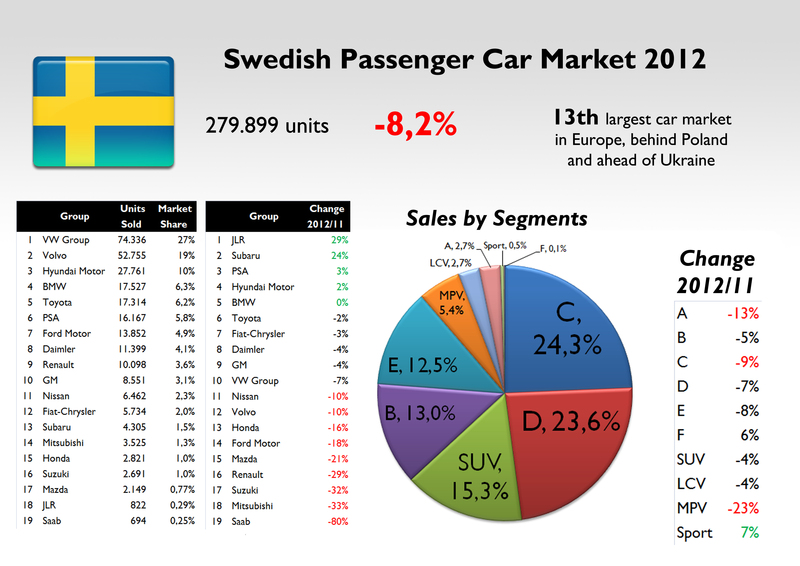 The largest Scandinavian car market had a bad year, with sales down 8%. 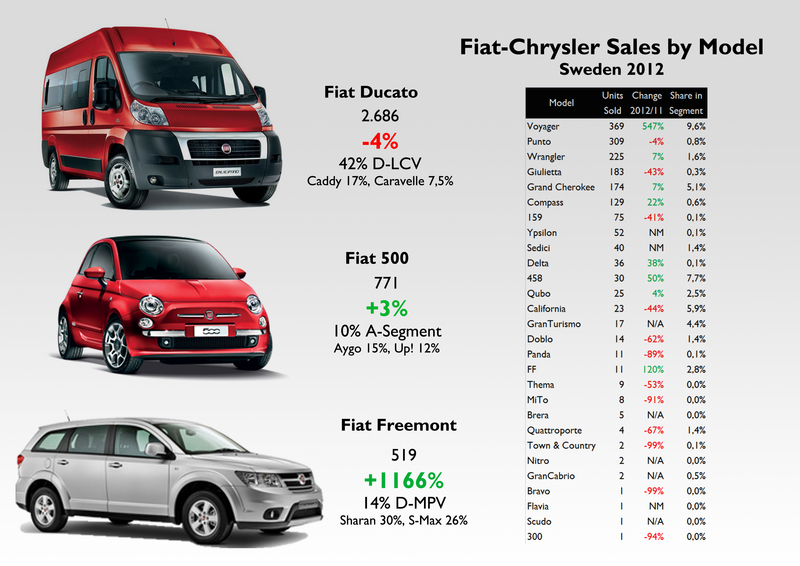 From 280.000 units sold in this country, Fiat-Chrysler sold a bit more than 5.700 cars, for a 2,05% market share. It improved its position, no matter the fall on registrations. Nevertheless, the group is still very unpopular among Swedish preferences. In the land of Volvo, most people prefer VW Group products, followed by Volvo and in a very impressive third position, Hyundai-Kia. By segments, C and D are the most popular (SW body-type is very popular), and SUV ranks third with 15% market share. There was a fall in all segments sales, but only Sporty cars had a positive growth, up 8%. European debt and employment crisis hit Swedish economy and car sales. 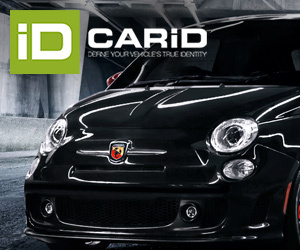 The weakness of Fiat Group is based on the fact that the brand’s awareness is low and the image is not positive at all. Besides, Swedish hard winter conditions force people to buy mid-size and big cars, so city-cars (aka Fiat 500 and Panda) aren’t popular at all. In fact E-segment sedan and wagons are much more popular. Even if it is the homeland of Volvo, VW Group beated it. Hyundai remains at a brilliant third position, ahead of the German premiums. Fiat-Chrysler has a very weak position. Source: see at the bottom of this post. Half of the group’s sales corresponded to LCV cars. It is one of the few markets in Europe where city-cars share on total sales is quite low. The position of the group in LCV segment is very good, with 36% share. MPVs, Freemont and Voyager count for a big part of the group’s sales, and they control 6% of MPV segment. Source: see at the bottom of this post. Notice that Chrysler origin models have a big share in the group’s total sales (they count for 25% of sales). The Voyager ranks 4th, and the Alfa 159 was more popular than the Ypsilon or Panda. Source: see at the bottom of this post. These results are very much skewed with Chrysler/Lancia mix. Since Lancia nameplate has been attached to Chryslers, these models have not sold well in Northern Europe. In fact, I’ve seen just as many new generation Chrysler 300 models ( along with chargers, challengers, all grey market imports ) than Themas in the Nordic market. 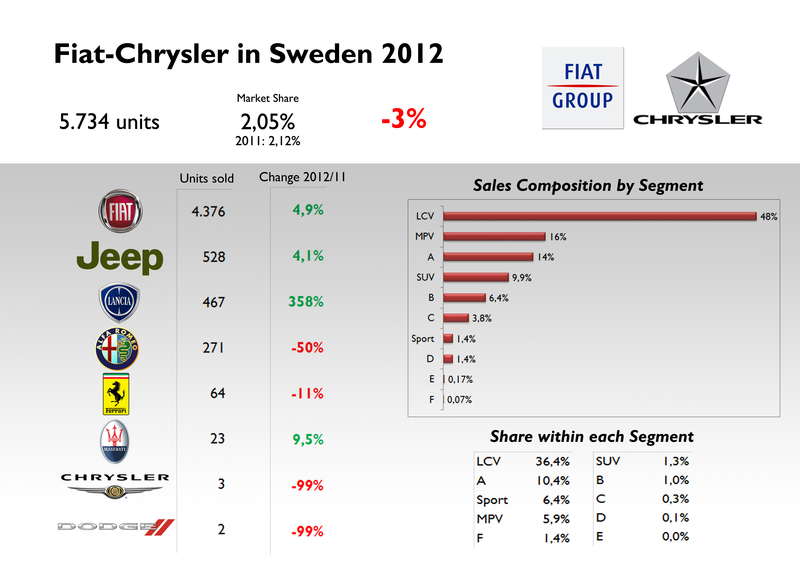 This should be a sign that Lancia is not being accepted as well as the Chrysler brand was in the Nordic region. Voyager does well since it’s not as brand sensitive being the only larger MPV on the market (and everyone knows it’s a chrysler anyways).